We have received a tremendous amount of support from our community towards EQUALITY and FAIR PLAY. Those who are still contemplating for their offense, do not hesitate to contact our support team and plead guilty for your illegal actions. 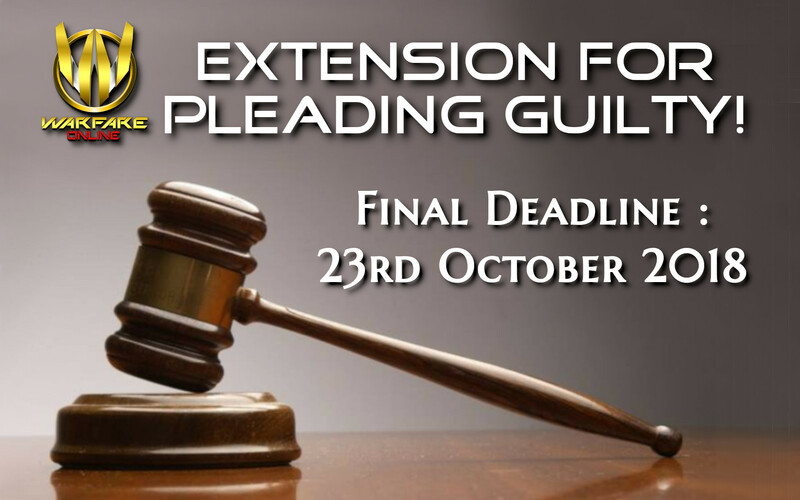 We are extending the deadline for pleading guilty until the 23rd October 2018 as part of our belief in fair play, goodwill and justice. The completion of review for the defame punishment will be done on Oct 23, 2018 at 3PM GMT+8 and defame will be done accordingly afterwards.